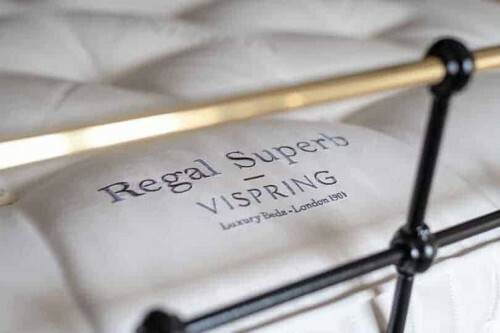 Vispring Herald Superb Mattress | Wrought Iron and Brass Bed Co.
Visprings most popular mattress. 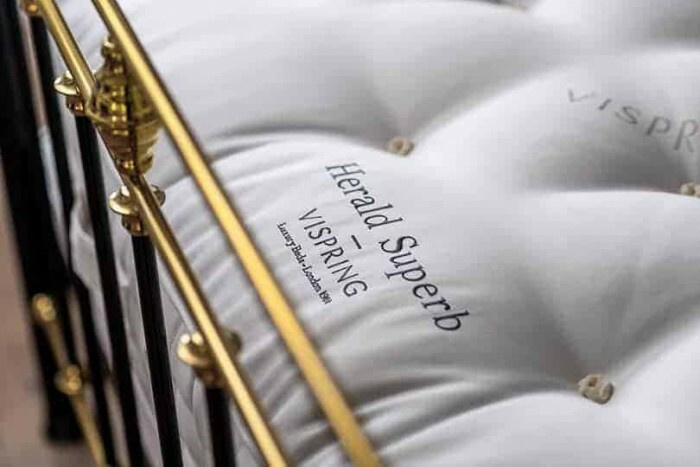 The Herald Superb pocket sprung mattress, is a traditionally hand crafted mattress. 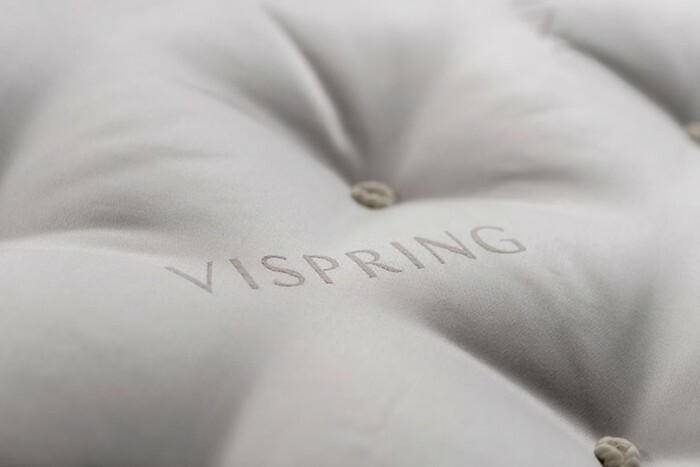 Offering pure comfort, for that undisturbed and perfect night sleep. Exclusively upholstered with natural fillings, such as Platinum certified British wool fleece, horsehair and cotton. 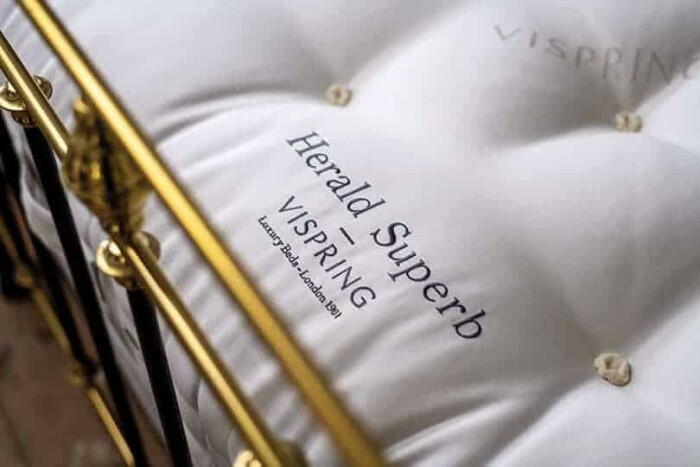 The Vispring Herald Superb, offers ultimate comfort and support. 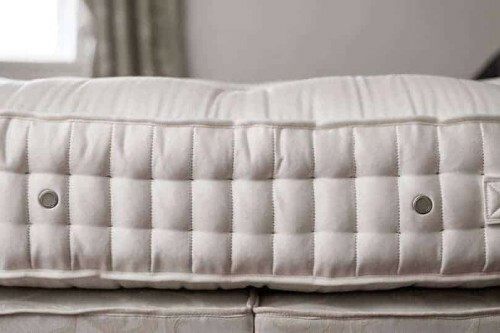 Available in a soft, medium, firm, extra-firm and dual tension. 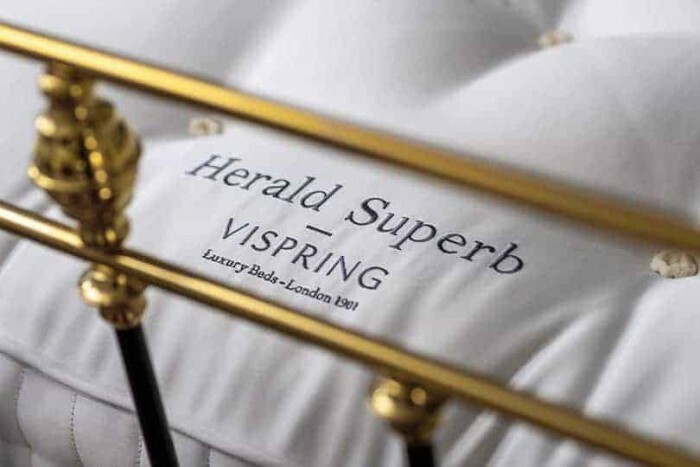 Finished in a chemical free ticking, the Vispring Herald Superb, provides a luxuriously comfortable and cosy natural mattress.